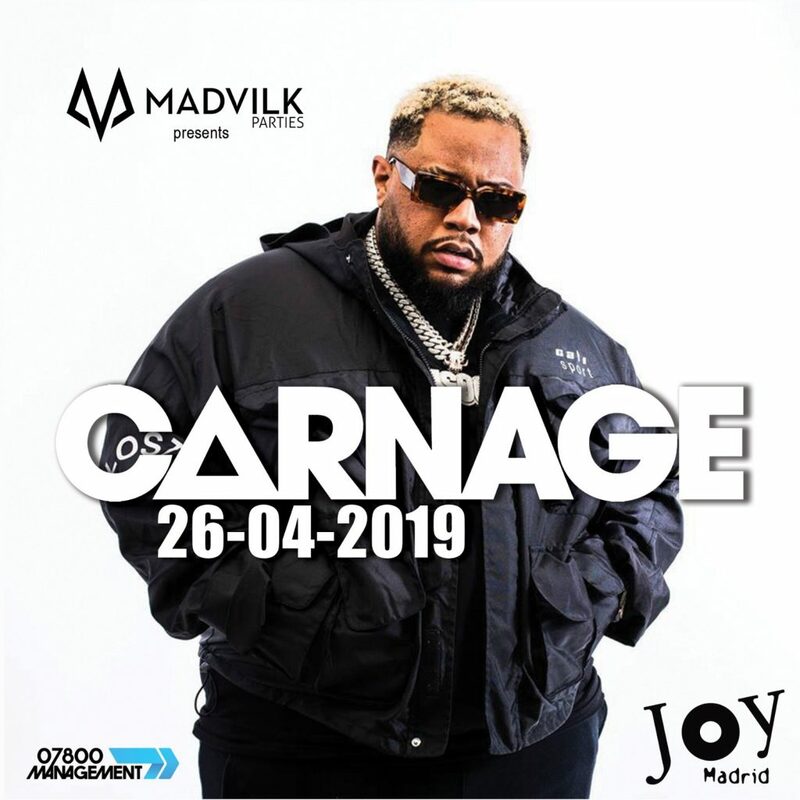 07800 MANAGEMENT is proud to announce the new spanish tour date for Dj Carnage. Madrid will be the city and the one and only Joy Eslava will be the venue of an amazing and unique set in Spain from the American-Guatematecan Artist. Carnage has been able to establish over the years on the stage of the EDM. Collaborations with DJs such as Borgore, KSHMR, Timmy Trumpet and Headhunterz are put to his credit. “The Underground”, directed in 2014 with Alvaro, is his greatest success. The single is classed quickly 4th of the top 100 established by Beatport. Ibiza, Los Angeles and Tel Aviv have hosted his sets in the past. Actually based in Los Angeles, “The Carnage Spanish Tour” pretends to be the cutting edge in Madrid´s Nightlife.